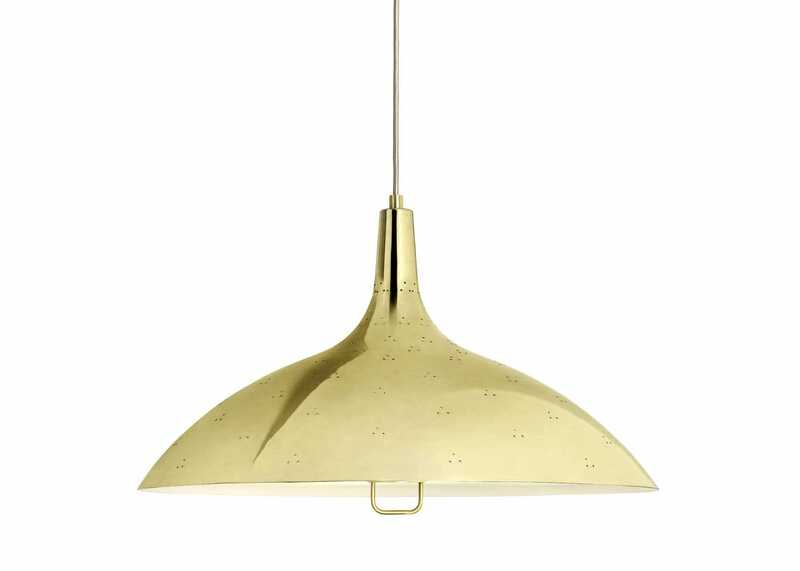 AS SHOWN As shown: 1965 pendant brass hung in a cluster. 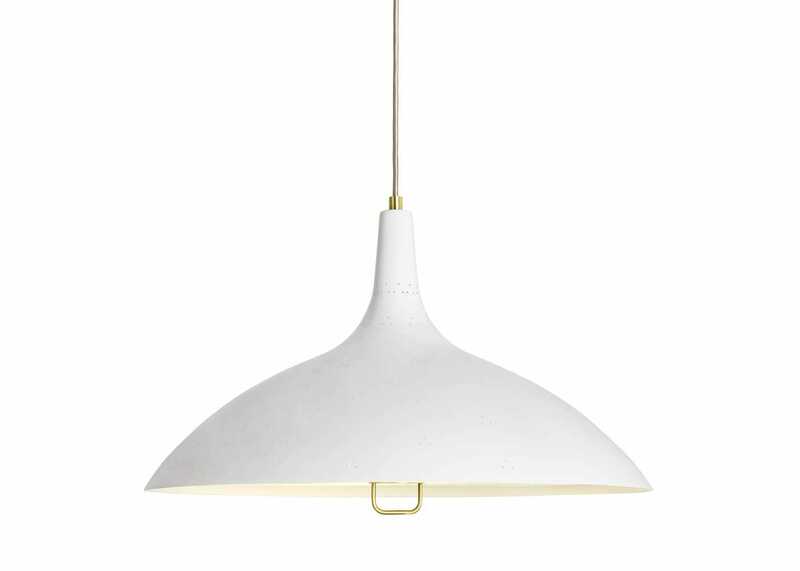 Unveiled in 1947 at the Finland House in New York, the A1965 pendant was an instant success for designer Paavo Tynell. This lighting fixture is still considered to define his mid-century peak. 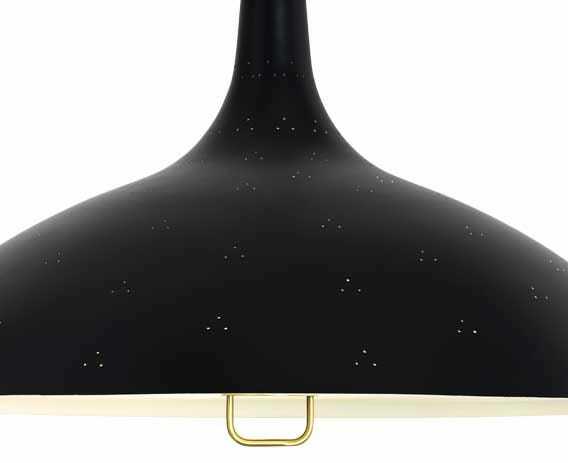 A sleek, downward facing conical diffuser gracefully guides light and omits glare. 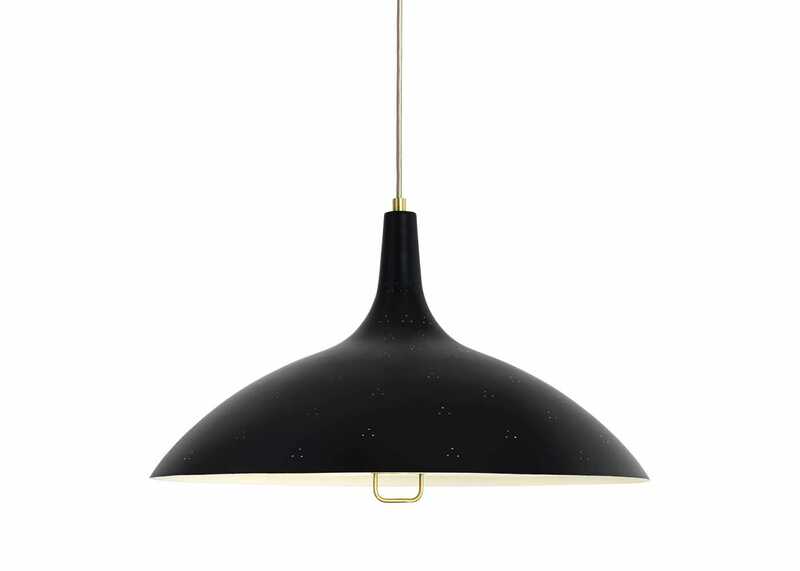 Gently illuminate any hallway, living or dining room with class and elegance. 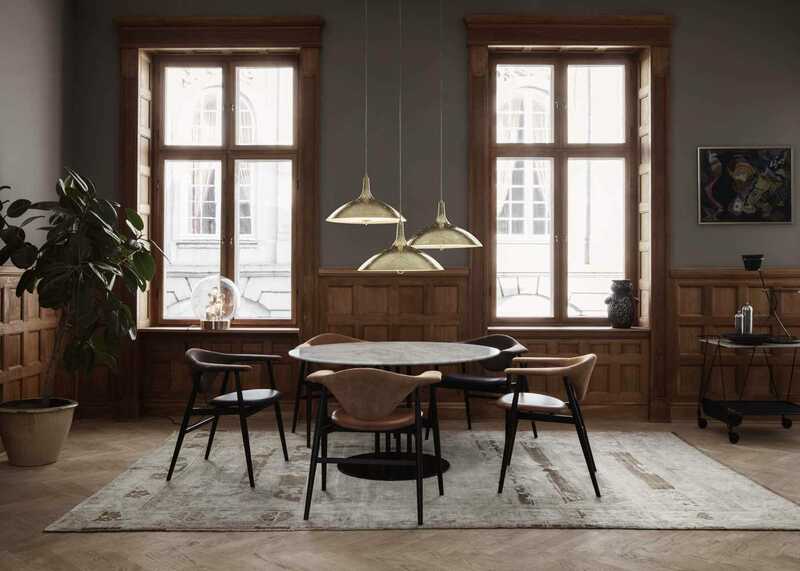 A frosted glass diffuser softens the light. 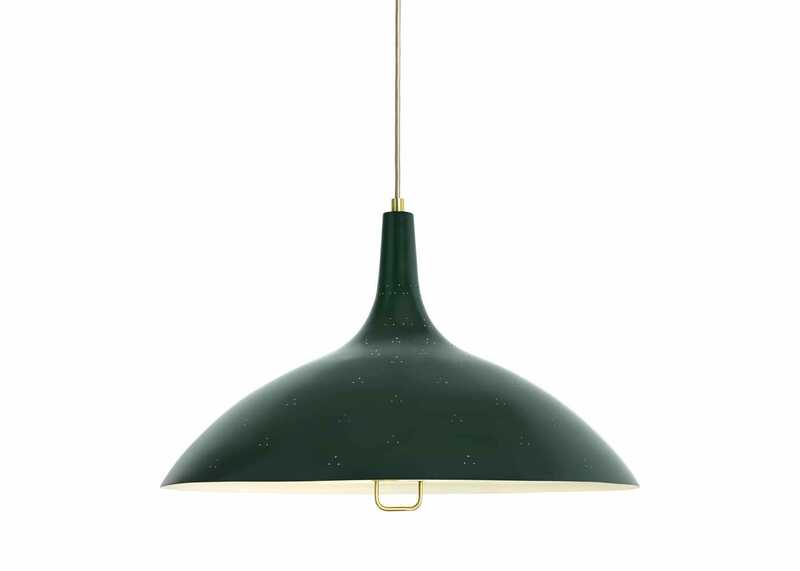 The 1965 pendant is characterised by its triangular perforation pattern.